Android’s New Version Pie 9 Launched. Google launched operating system Android’s New Version Pie- 9. Recently has been launched new and update Android version Pie 9. Now we discuss about of Android pie 9. Google launched it’s open source operating system Android’s New Version Pie– 9. Its a very amazing version of Android. Our team member Mr. Ali Abedin Babul Collected details about Android Pie-9. Google launched it’s operating system Android’s update version “Android 9 pie” recently. Google generally makes updated it’s Android version after months and it has seen a number of updates to its base operating system since it’s initial release. Android code names are arranged in alphabetical order since 2009 launching Android 1.5 Cupcake. And the most recent new version being Android 9.0 Pie, released in 6th August 2018. Pie- 9 has recently launched. It is the new version after Orio. Android’s other version was Lolipop, Kitkat, Kernel version, Orio and recently opened Pie-9 highlighted various features of the open Android version ‘Android pie 9. 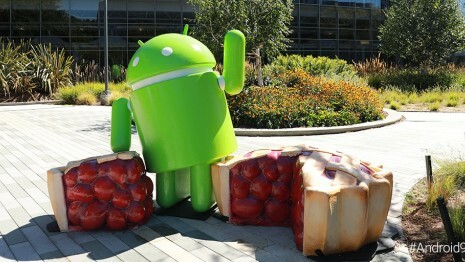 The official name of Android Pie-9 is Google’s ‘Android Pie Operating System’. The new version is currently available on pixel phones and a few models of phones, and this year, Android will be available on many Android model in this year. Adroid 9 pie filled with various features. This version has not only changed the look of the design, it has important changes and AI technology settings. Google will make your phone more personal, more efficient and easier to use. We tried to highlight the features of Android pie in this article. We have also tried to highlight that these versions of the Android operating system will work. Many will be surprised by hearing the open date of Android pie. Technology and technology products like Samsung and LG have already started discussions with Google’s software. Android will be open on page 2018. You may have to wait this year for special reasons. This year you can not enjoy the application” slice”. But Google has appointed an app developer to build APIs on this work. Experiment has already started. We are talking about the ICT giant “Google”. A good example of this could be Google’s ‘IO’ app. You will not have to go to the App menu for upcoming advantages. You will get the benefits of the app directly. Google Slides can be displayed on Google’s search bar via Google Apps slice. You can enjoy this feature when you search. For example, if you find a hotel, it will be easy to find and you can easily find the name of the hotel. No other apps will be required except Google. You just need to turn on the check-in option so that you can enjoy the benefits. The version history of the Android mobile operating system. History of the Android began with the public release of the Android beta version on 5 th of November , 2007. First commercial version, Android 1.0, was launched on 23 September, 2008. Android is continually developed by Google and the Open Handset Alliance. We collect information for you , see more about android versons. Distribution since December 2009, as of July 2018. Android Marshmallow v. 6.0 (the oldest supported version) is running on 23.5% of all Android devices accessing Google Play while Android Nougat (v.7.0 & 7.1) is running on 30.8%, and all supported including the newest Oreo versions, run on 66.4% of devices combined. For more update about science and technological news, like our page. Leave your comment, like our Facebook page. Visit www.techupdatenews.com. Please likes and share of Android’s New Version Pie 9.